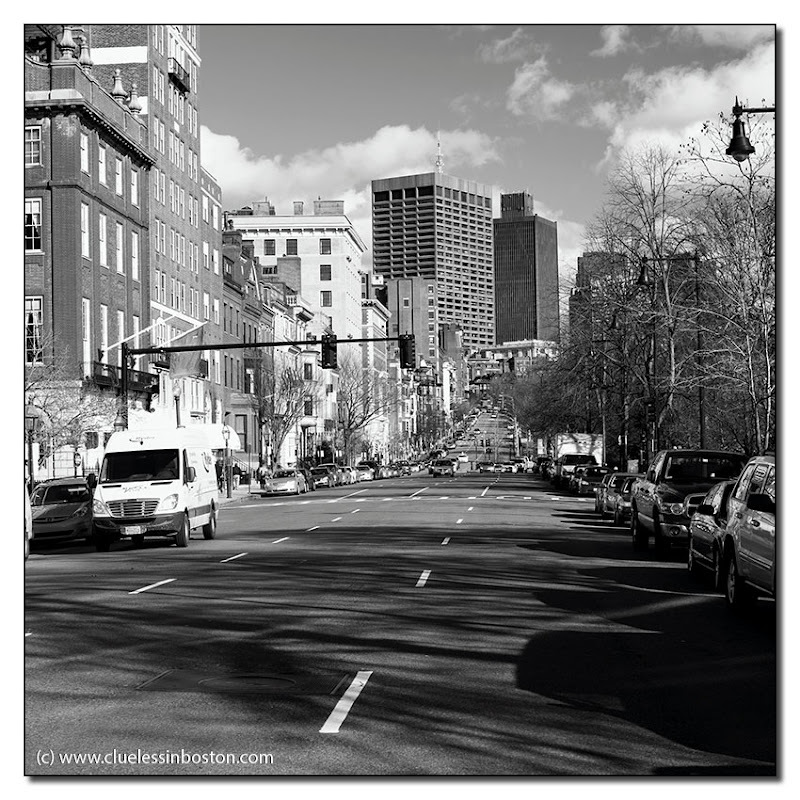 Looking up Beacon Street from the Public Garden. I love b&w pictures and this one is wonderful! Good choice of B&W, it puts the street out of time. ...sorry, my mistake. Non-native speaker! Regards from snowy Germany, Uwe. Spring sunshine on its way. Nice choice of monochrome. It looks deceptively light and warm although I'm sure that's not the case.